Do you struggle to sort out navtex warnings ? If yes, you are not alone. Many believe that Navtex is not a perfect equipment for ocean going ships to receive nav warnings. I will be neutral to that statement. The reason is we do not receive in-force navtex list and so we cannot be sure if we have received all the navtex messages or not. But not being perfect equipment for ocean going ships does not mean that it is of no use to us. The only way you can use this imperfect equipment perfectly is by knowing everything about it and by keeping the navtex receiver in good shape. I noticed that we have many questions related to Navtex that come to mind when we think of Navtex. And I thought best way to discuss Navtex would be to answer these questions individually. 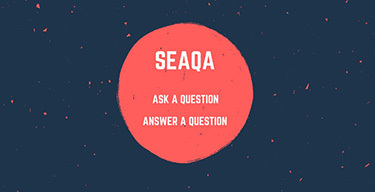 So here are the 20 questions about navtex and the answers to these 20 questions. 1. Navtex: What it is ? Navtex is short form for Navigation telex and as the name suggests, it is a one form of communication mode. Only thing is that it is for one way communication. What we have on board is a telex receiver, which receives navigational warnings sent by the Navtex station. 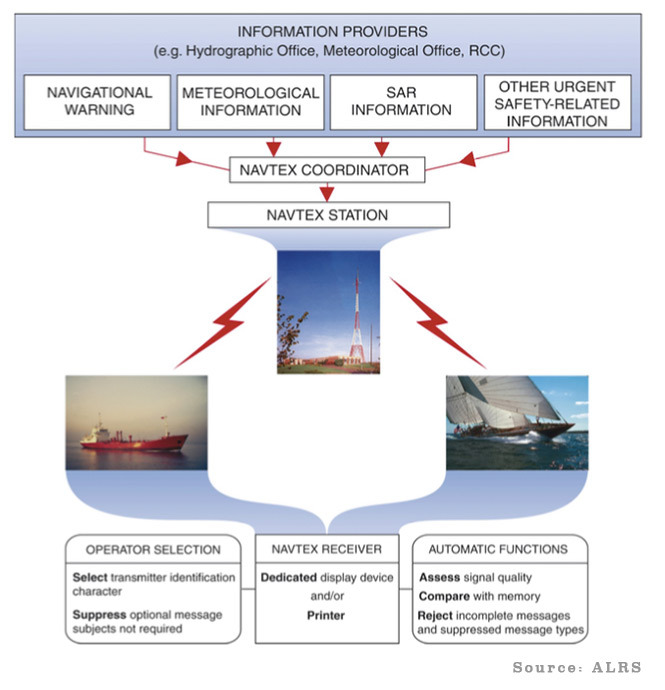 Navtex was developed to provide low cost, simple and automated maritime safety information to the ships in coastal waters. Navtex is part of GMDSS equipments which is required to be fitted onboard every ship as per SOLAS Chapter IV Reg 7. Navtex station receives these messages from navtex coordinator who in turn receives these messages from various sources. These sources include Meteorological office, Hyrdographic office or rescue coordination centers (RCC). 3. What is the difference between service area and range of the Navtex station ? A navtex station have a pre-defined area for which it is responsible for sending information. This is called service area of navtex station. The Navtex coordinator of the country decides the service area for the navtex station when it is being set up initially. If it does not overlap the service area of a navtex station of another adjoining country, usually there is no issue for the navtex coordinator to set up service area. But if case any dispute over setting up the service area for a navtex station, IMO navtex coordination panel helps in setting this up. The range of transmitter of the navtex station need to be sufficient to cover its service area. In fact it need to be more than the service area of the navtex station. This way the ship’s proceeding from outside the service area can receive the navtex messages before entering the service area. 4. Do all navtex stations have equal range ? As I said the range of the transmitter of the navtex station need to be sufficient to cover its service area. 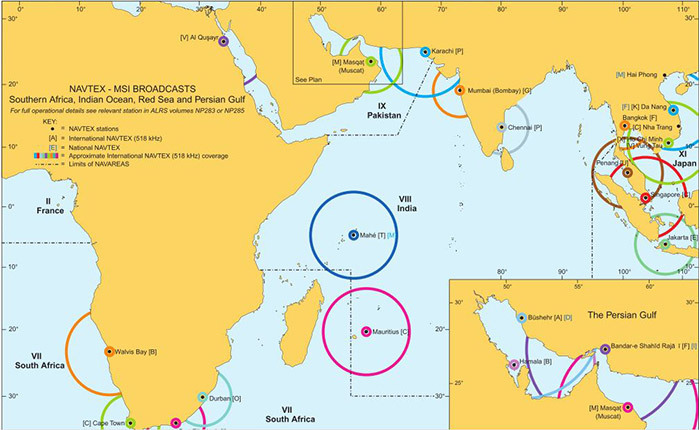 Each navtex station can have different size of the service area and hence the range of the transmitter of each of the navtex station will be different. 5. How can we know the transmitter range of a navtex station ? This information is available in the ALRS or ADRS 1,3,4,5. For example let us find the transmitter range of “Chennai” navtex station. Open ADRS 1,3,4,5 on the dedicated computer and select “Navtex” under “View” option. From the left menu (Geographical area) scroll down to India.Under navtex option, click on Chennai. This will open a pop up showing the information about Chennai navtex station. As we can see that Chennai navtex station has a range of 250 NM. 6. How to know which navtex station will be in range on my passage ? Same like above, We can find this information in the ALRS or ADRS 1,3,4,5. Just open ADRS Vol 1,3,4,5 on your dedicated computer and make sure Navtex is selected from “View” option. This will give you all the navtex stations which you can zoom the map to view a particular one you might be looking for. Otherwise you can choose the area (or country) from the geographical area selection panel from left menu bar. You can then see which all navtex station you can expect in your passage. Like our phones, Navtex also cannot receive two transmissions at the same time. While receiving transmission from one station, the navtex will reject the reception of second transmission if received. For this reason, each Navtex station is alloted fixed time to transmit their messages. Each Navtex station type (Character B1) get fixed 10 minutes of time to transmit the message. Yes, they can if the message is of utmost priority. 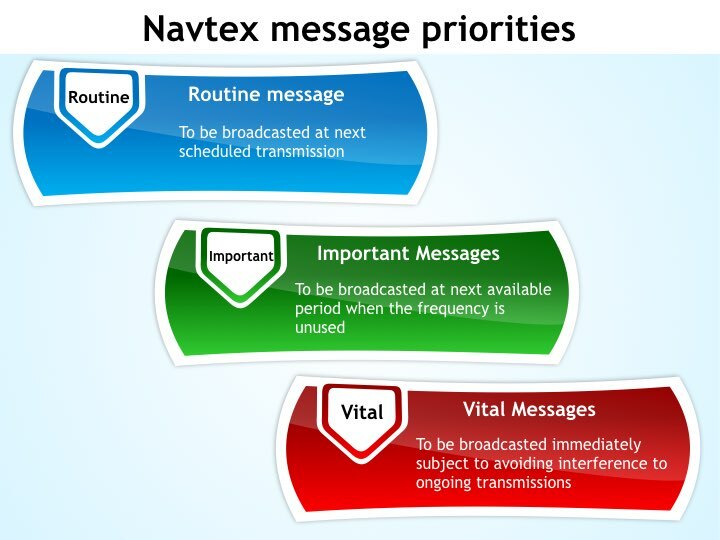 There are three message priorities that a navtex message can have. Vital messages will be broadcasted immediately and do not need to wait for the scheduled transmission. Navtex station repeats all the valid messages in each transmission provided it can be transmitted in allotted 10 minutes time. 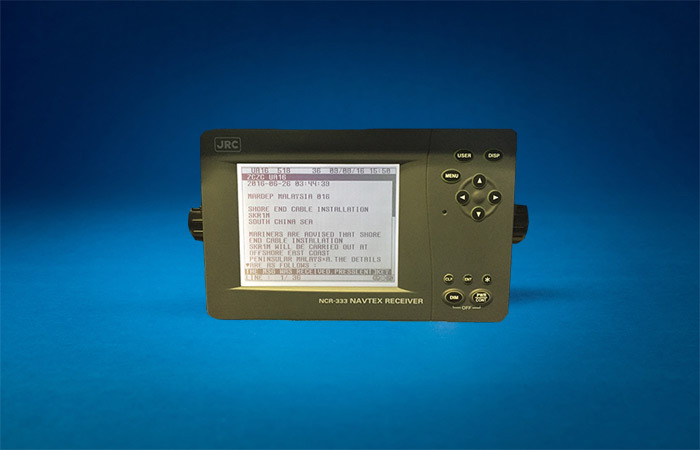 The navtex receiver onboard stores the successfully received messages for 72 hours. In next transmission, if vessel is still in the range, it will only receive and print any new messages. Now let us say that you received the navtex messages just now. And you wish to receive all the messages again in next scheduled transmission of the station. You can switch off the navtex receiver and then switch on again. This will clear the memory from the Navtex and you will receive all the valid messages again. As I pointed out in previous question, we can switch off and switch on the navtex again. During next scheduled transmission, you will receive all the navtex messaged again. But if you will be in the service area of the navtex before next transmission, you can send the email to the navtex co-ordinator about the corrupted message. This way not only you will get the corrupted message by email but also you have given a feedback to the navtex station about the corrupt message. The Navtex station sends these message on a designated frequency and we receive it on board if we are in range of that navtex station. Navtex uses frequency 518 KHz for transmitting messages in english. Navtex uses another frequency 490 kHz for transmitting messages in local language. Every navtex message starts with letters ZCZC which indicates the start of the message. This is followed by two letters (we call it B1B2) and two numbers (B3B4). In the last, end of the message is denoted by “NNNN”. The entire process of receiving the transmission from a navtex station looks something like this. B1 : First letter denotes the identity of the navtex station broadcasting this message. This can be anything from letter A to Letter X.
B2: The second letter denotes the message type. 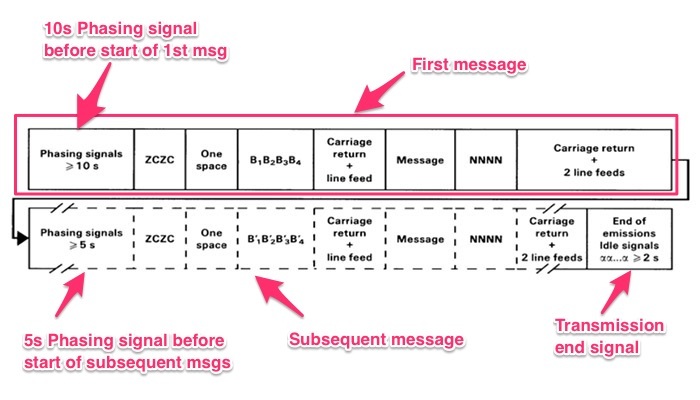 B3B4 : The two numbers denotes the message number of the navtex message. 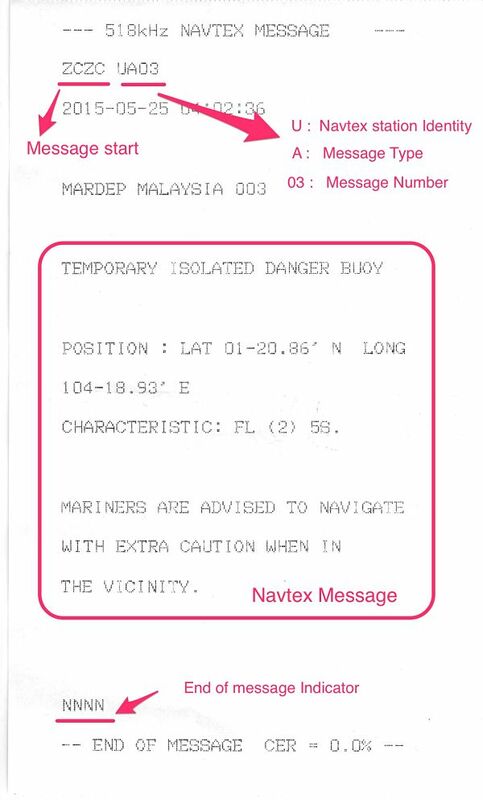 Here is the actual navtex message received on ship’s navtex. Can you identify the format described above ? I am sure you will be. 13. What does phasing signal means ? This is the signal that is used to lock into the transmission of a particular navtex station. Now if this signal is not used what can happen. If there is another station in range and which also sends its transmission, the message will be corrupted. This is because navtex receivers will try to receive messages from both the stations. When a particular station is locked in with the phasing signal, navtex receiver will block reception of all other stations. 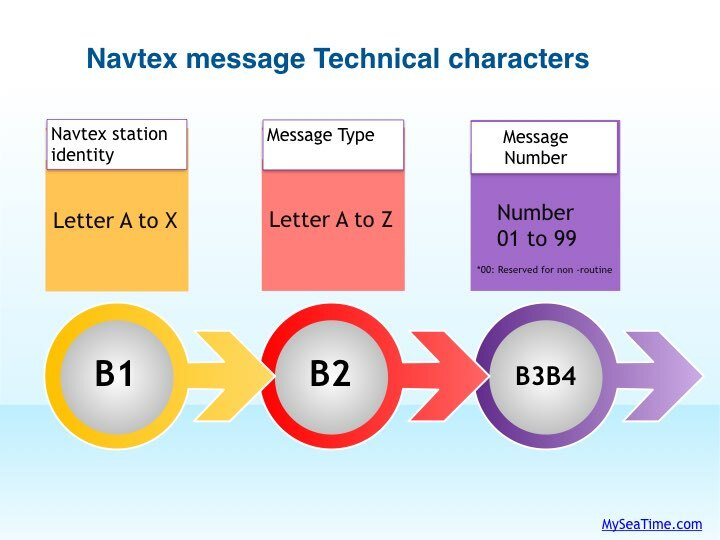 As I said earlier character B2 in navtex message identity represent the type of navtex message. A letter from A to Z denotes the message type. For example letter A means the message type is “Navigational warning” and letter B mean the message type is “Meteorological warning”. Here is the list of what all message type we can receive through navtex. We can find this information in ALRS or ADRS 1,3,4,5. 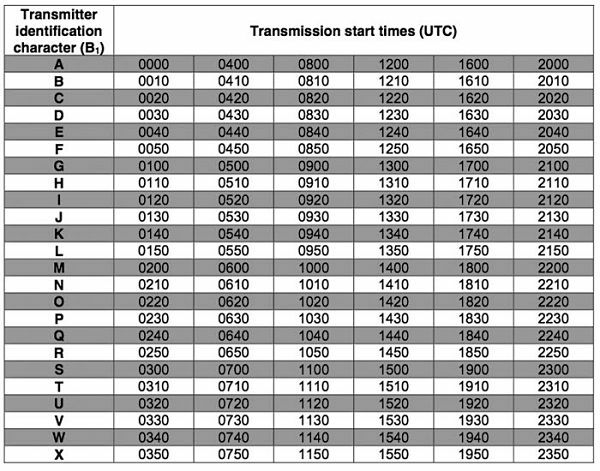 For example if we look for Manila Navtex station, you can find its transmission schedule as well as what type of messages will it send during each transmission. 16. How the message number (B3B4) allotted to a Navtex message ? The message numbers are given between 01 to 99. When a navtex station is first set up and it sends its first message, it will be numbered as 01. If there are some messages that are cancelled, the next message after 99 will get the message number of first cancelled message after 01. This cycle goes on. A Navtex station (B1=P) has sent total 97 message since it was put into service few day back. In these 97 messages, message number 03, 11 and 16 are cancelled. Its next scheduled transmission is after 3 hours and it got 3 new Nav warnings (B2=A) to send. What will be the message identification of these 3 messages. You Got it. right ? PA98, PA99, PA03. I hope you have same answers. Now let us see the second condition. In case all the 99 Navtex messages are valid. 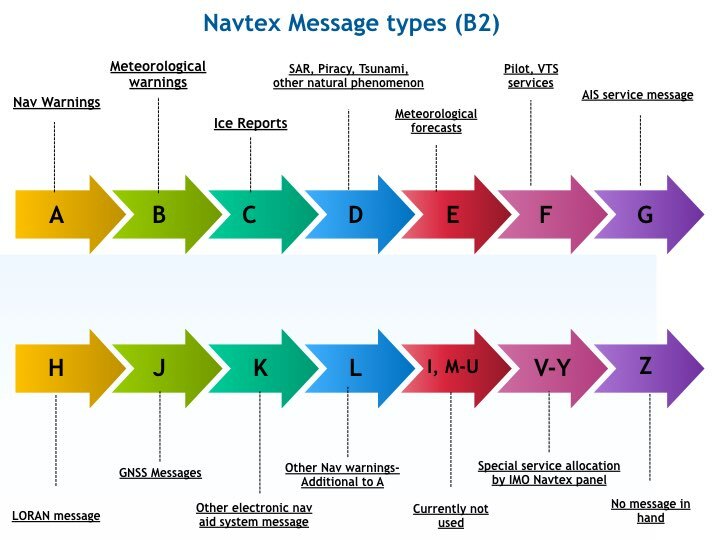 In this case the navtex station will use the message type “L” for issuing new nav warnings through Navtex. 17. Do Navtex stations send the in force warning list ? IMO encourages Navtex stations to send the in-force list every week. But most of the times you would not receive the in-force list. Navtex stations have limited time (10 minutes) to transmit the messages. Including in-force list will only reduce the time for actual transmission. Though I have experienced that Japan Navtex stations send in-force list every week. This is highly discouraged by IMO as well as industry experts like Oil majors. Even if navtex stations send the in-force list every week, not all ocean going ships will receive it. Ship will pass the service area of the station in less than one day. So if the ship passes this area on the day other than the day in-force list is sent, they will not receive it. 18. How do I know if I have received all the navtex warnings ? We cannot know for sure if we have received all the Navtex warnings. We have to assume that we have all the Navtex warnings. But the best we can do is to keep the Navtex receiver in good condition so that it does not miss out receiving any navtex messages. Also we should select the correct station well before entry into the service area. It is a good practice to select all the station that would be in our range during the passage, before we begin the passage. Apart from following the Maker’s guidelines for maintenance, cleaning of navtex antenna can increase the reception quality. 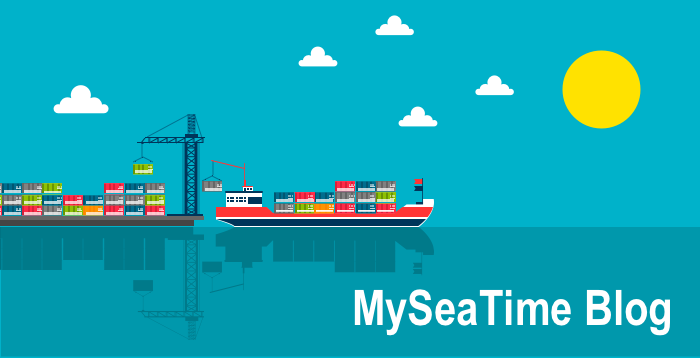 As per SOLAS Chapter IV, reg 17 we need to maintain the radio records for all the importnat activities. But IMO has clarified this that we are not required to log receiving navtex messages in the GMDSS log. Maintaining the print out of the navtex messages is sufficient to satisfy the regulation 17 of the SOLAS chapter 17. 20. 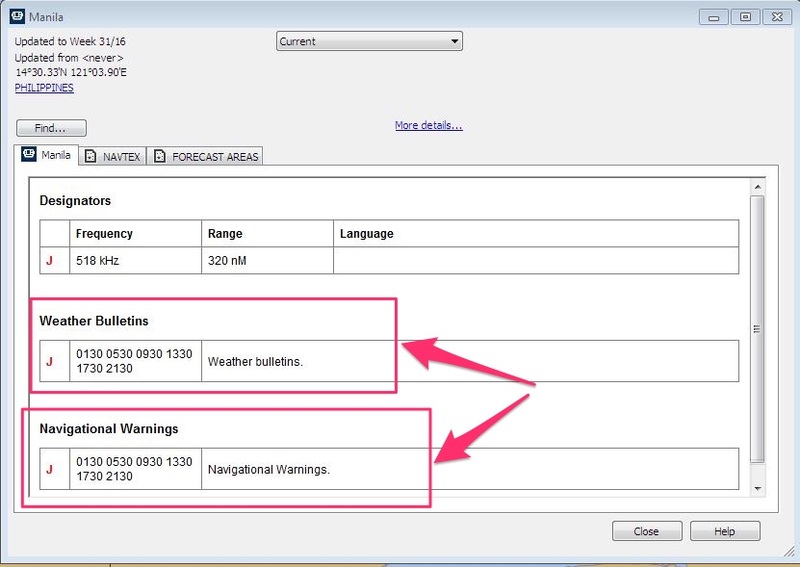 How to plot navtex warnings on chart. 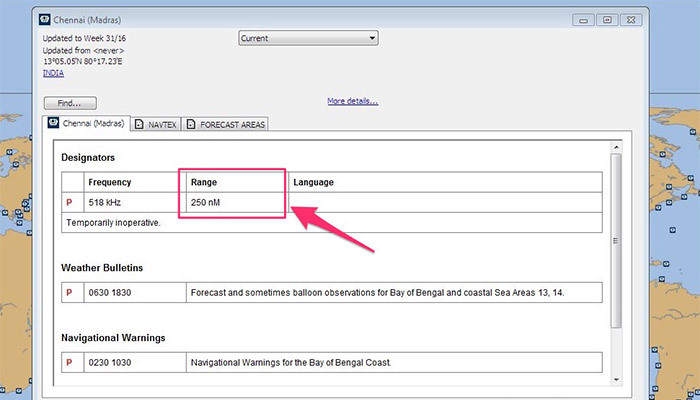 Plotting navtex warnings on chart is no different than plotting any other warnings. This guide on navigational warnings can be useful for information on how to plot navigational warnings on chart. Ya I know I said 20 questions but this final question is from me to you. Do you have any other question that I may have missed. I would be happy to include that. Naxtex is as important equipment as any other equipment on the wheel house. But sometimes we tend to give Navtex a step motherly treatment by keeing it last in priority list. One reason for that is we are never sure how to handle Navtex. If we know how it works and how best we can handle Navtex on board, handling Navtex messages will be as easy as eating a pie of cake. I think Australia for one do not have Navtex service..
Glad to hear that Oscar.. Thank you so much for ur above post on Navtex..do we need to keep a file for Navtex messages or after completing the voyage we should throw these messages.. These are of no use as we will get these messages again when we come to same station range but as a record keeping we need to keep these for the same duration your company manual requires to keep the GMDSS log..Some navtex have internal memory which does not get erased after 72 hours. In this case we do not need to keep the print out. Cap. Rajeev, good post, good information. Really appreciated it. About this specific topic “gmdss log book” récords ... where we can find this information that IMO has clarified that we are not required to log receiving navtex msg, while we keep a print out. This is aplicable to wheather msg and security msg received by sat-c, too? Thank you for your kind words Capt Pereira.. Thank you very much for the knowledge you have shared. It surely will help in handling Navtex more efficiently. 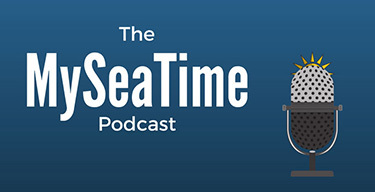 Very practical knowledge and useful for properly maintaining Navtex. Thanks for writing sir..
Glad you found it useful Sagar.. Yes sure, I will write on draft survey. These guidelines are usually there on the first few pages of the GMDSS log. Each ship need to follow the format specified by their flag. If there is no such format then a generic format may be followed. Whichever format we follow, it should have all the entries that are required. For example SOLAS Ch IV/Reg 17 asks us to maintain the record of radio communication which is of importance of safety of life at sea then these record must be present in the GMDSS log. Here is one example which might be of some help. Sir great article Pls can you tell us what records do we need to maintain of navtex msgs. How long should we keep them and do we need to keep only particular msgs or all of them . Also sir pls advise that if msgs are auto plotted on ecdis. Do we need to print them ? Thank you Sir. Navtex message print out need to be stored for the duration GMDSS log is required to be stored as per your company SMS. 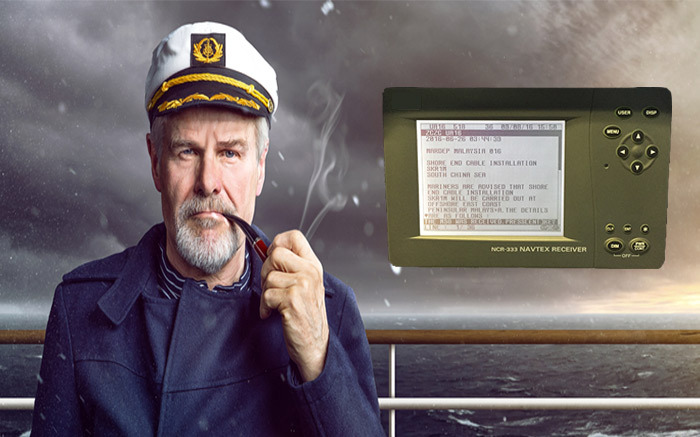 Navtex Nav warnings and Navtex wx messages do not require to be recorded in the GMDSS log. Even If the message is auto plotted on ECDIS, we need to have the print out for record keeping. Sir could you please explain facsimile chart reception? I will try to cover that in future blogs .. This is an outstanding efforts on detailed explanation regarding NAVTEX... Deep Respect Sir !!!! Where can I check all the navtex stations and their schedules? Everything I find on the internet takes me to pages where I buy products. There are no public lists? Thanks, it is very clear and useful. I have one question. After we received distress message from Navtex Stations, and distress case finished, do they have message to cancel the distress case and what is the form? Thanks. good day capt. may i ask about question 14, the station identity U, where i can check for it? does those station named in alphabet only? What does it mean when a hostile country provokes it's neighbour by issuing NAVTEX around the neighbour's territory? Can't the country being proked ignore it or issue it's own NAVTEX? 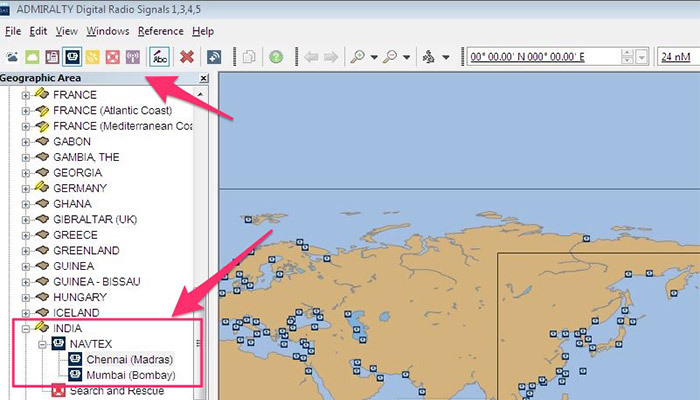 How can I get Navtex in force list for Japan & China station? 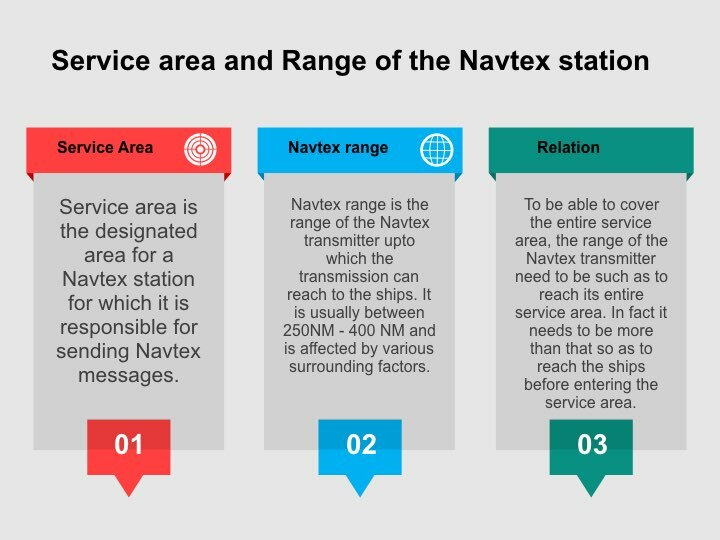 what is difference between NavArea and service area of navtex station ? Good day sir.. What all checks to be made in Navtex? How I wish that books were written in such a comprehensive yet simple manner.Thanx a ton for all the blogs here sir.